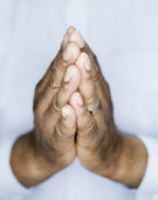 We pray for those affected by the enormous burden of debt: for a just and lasting solution to the problems they face. place and are acquainted with all my ways. Let us give thanks to the Lord for his goodness and the wonders he does for his children. Some sat in darkness and in the shadow of death, bound fast in misery and iron. and breaks the bars of iron in pieces. Lord God, your will is to bring hope and a future to all your people. we ask your guidance as we work out a household budget. ready to stand alongside those who suffer the burden of debt. that they may work towards practical solutions for the problems caused by debt. feel they have nowhere to turn: that they may know your presence, guidance and peace.